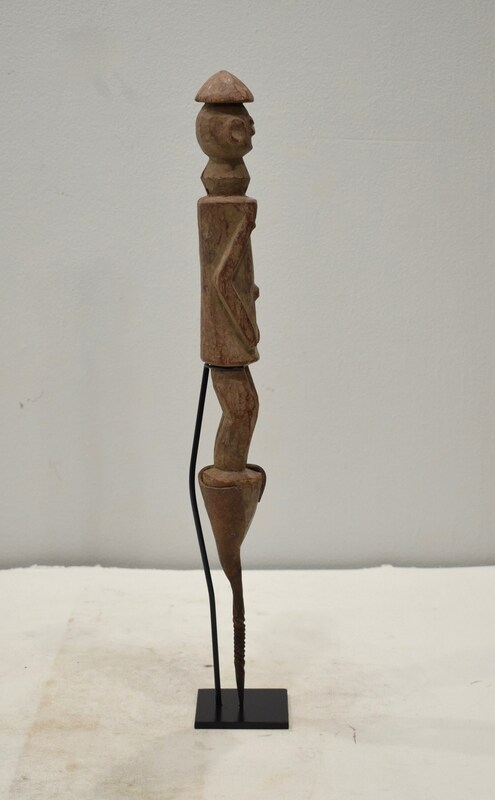 This is a beautiful hand carved figurative Tent Stake from Nigeria. 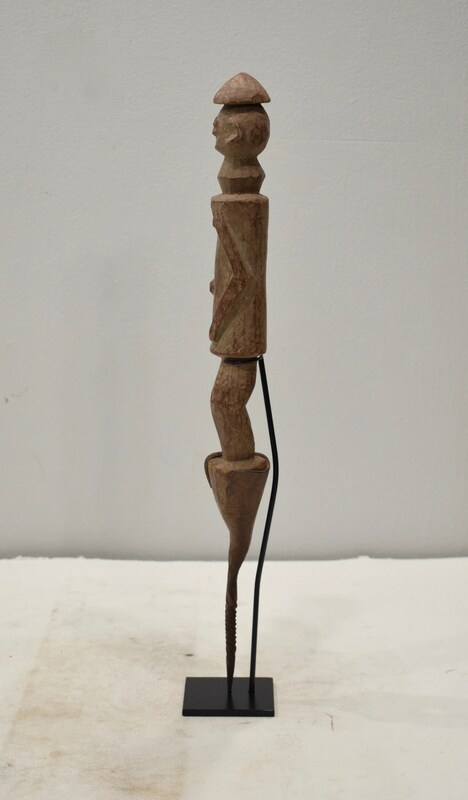 The carved figure rests atop the Metal stake. 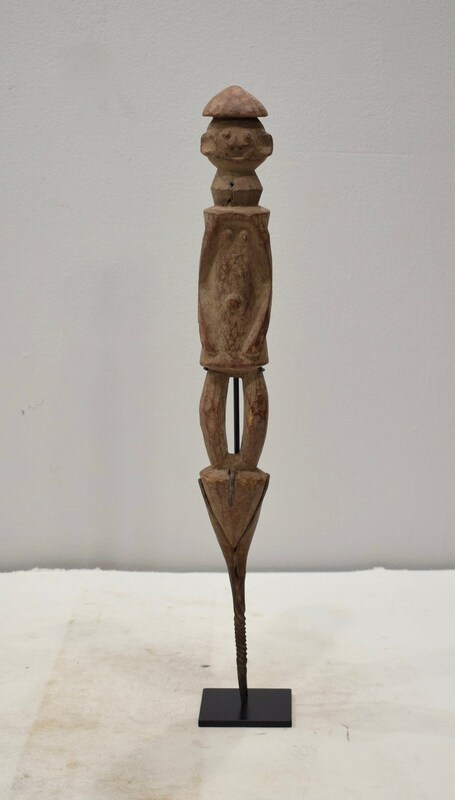 The nomadic tribes would use this as decorative, yet functional purpose of staking down there tents. 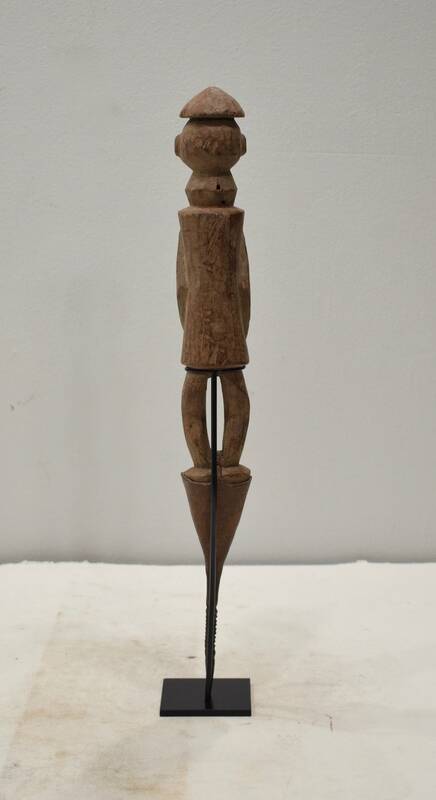 Very good condition and would be a wonderful addition to your home or collection. Very good condition shows age and use.